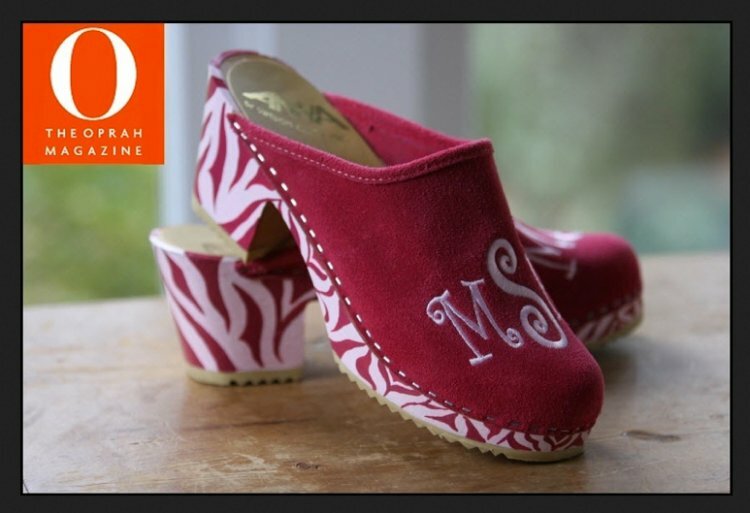 Oprah Magazine gave our high heel clogs as favorites in the July issue! 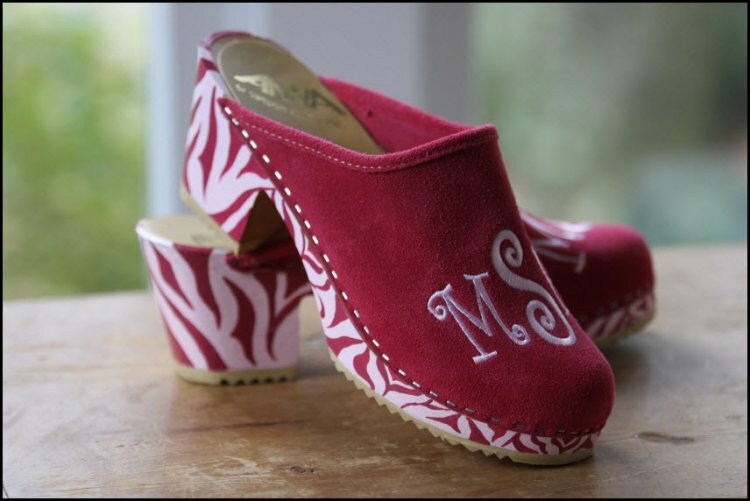 The Pink Monogram is delighted to announce the arrival of our new HIGH HEEL monogrammed clogs, for all of you who have asked us for them over the past few years. 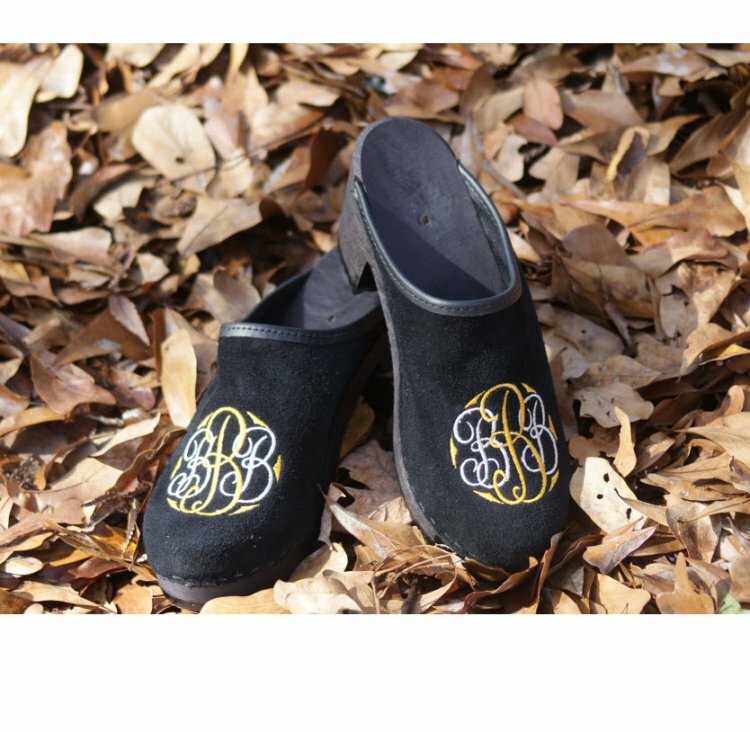 The new heels are 3 inches, compared to 1.5 inches for our Classic Monogrammed Clog. The new higher heel clogs have a hand-crafted wooden base, custom-designed to be as comfortable for your foot as our flex heels are. 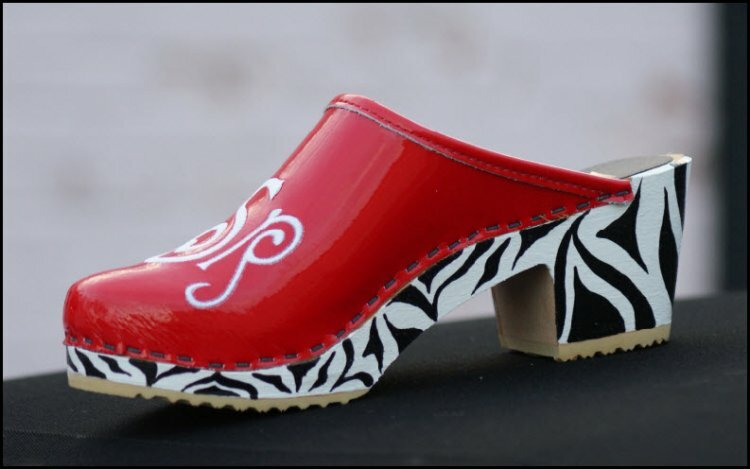 The cut of the clog’s upper material will give your foot the opportunity to flex freely as you walk and stand. The high heel is only available in sizes 36 - 41. These clogs run true to European sizes, so you can continue to order the same sizes you’ve ordered in the past. 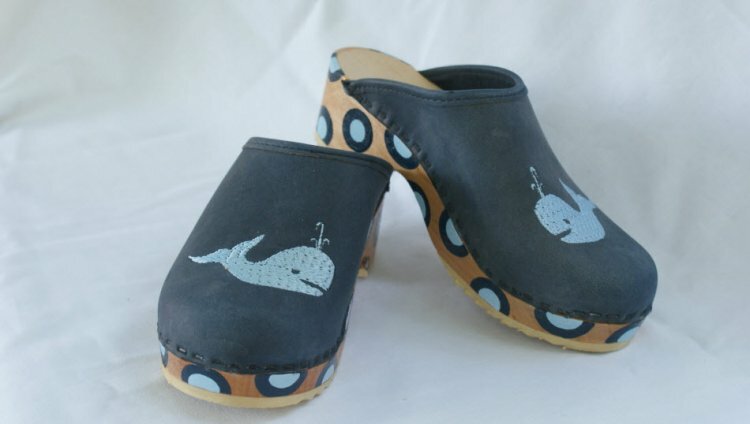 However, these clogs are C-width in the toe. Please note they do run more narrow. They will stretch as you wear them, as all shoes do, but be advised this is not a wide shoe. 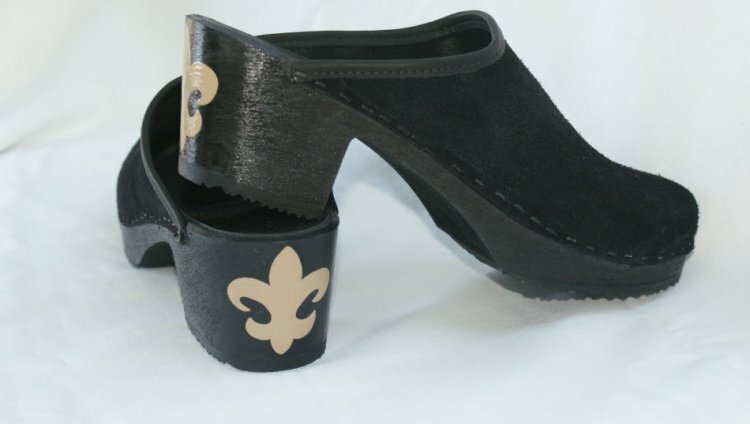 All of our new higher heel clogs will be made in natural finish wood. Our fabulous felted wool has arrived and is the Fall fabric of choice. Bright and vibrant colors resist fading and hold up to the toughest of weather! 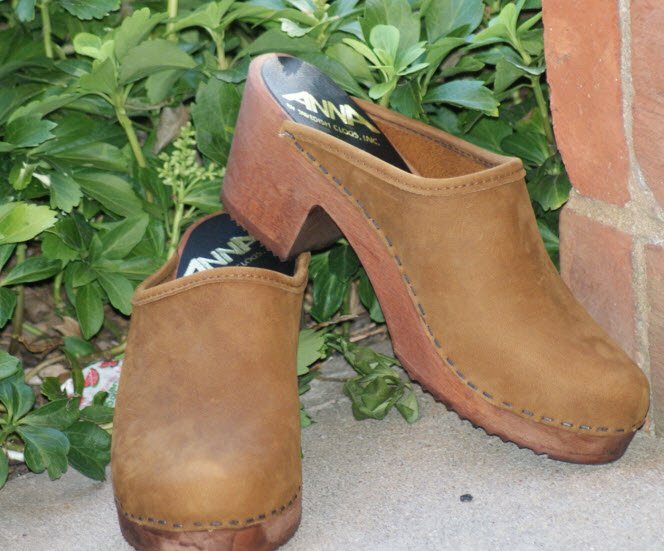 I promise you these will be your go to Clogs! No breaking in the wool shoes. Soft and butter the minute you put them on! You will want them in every color! At this time we are not offering the hand painted desigsn on our heels. Price: $155.00 In stock! 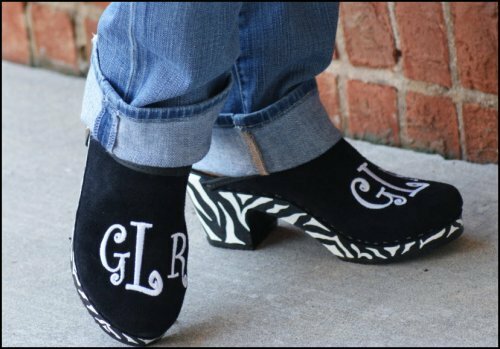 - Browse this brand: The Pink Monogram - ClogsOur products are custom made to your specifications. This product ships up to 8 weeks after your order is placed. These higher wooden heels do run narrow. Please order up a size if you have a wide foot. 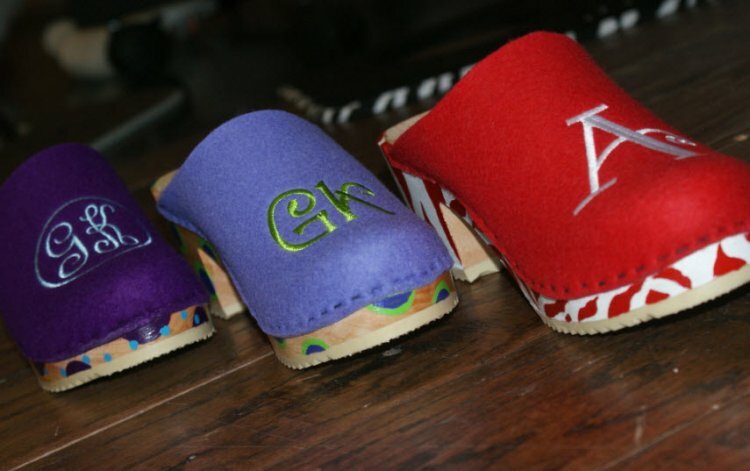 Choose the color of your felted wool clogs, leather clogs, or suede clogs. 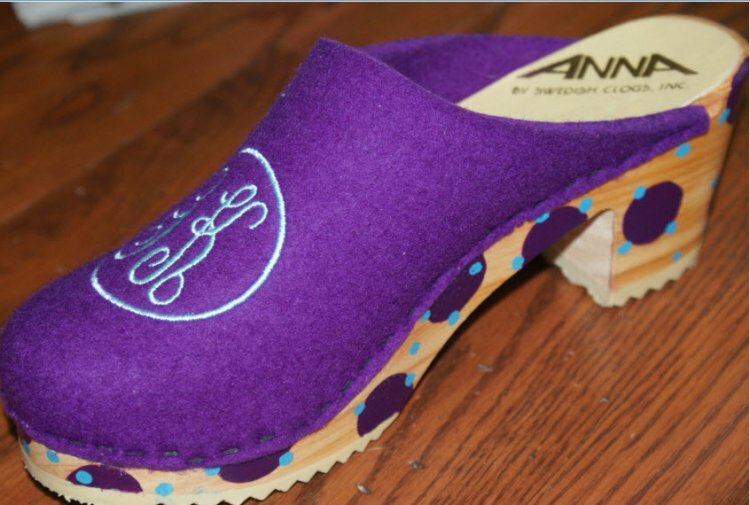 This will be the choice for your upper for you custom made clogs from The Pink Monogram. 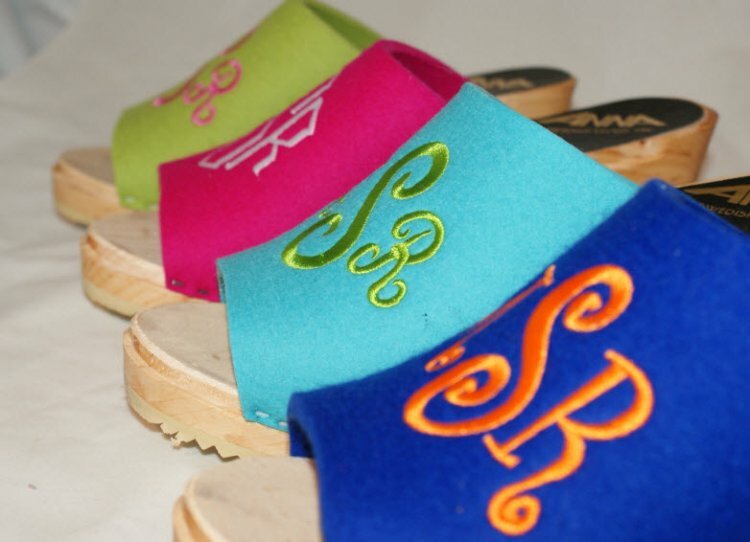 Choose your color for your wooden high heel choice.